Island Mazda near Union, New Jersey has tons of 2017 Mazda CX-3s on the lot to select from! Mazda’s entry in the mini-utility segment delivers agile, fun-to-drive handling; a solid and substantial feel; and good fuel economy. The ride is firm but does a good job of absorbing impacts, although noise levels can be high. The CX-3 is available with front- or all-wheel drive, and the sole powertrain is a 146-hp, 2.0-liter four-cylinder and a six-speed automatic. It’s a smooth, willing mill but isn’t overly powerful. The infotainment system includes a 7-inch center display screen and a rotary knob to control phone and audio functions, but it takes time to get familiar with its operation. The rear seat is very tight, and cargo space is modest. This is the first nonluxury mini-SUV to offer blind-spot monitoring and adaptive cruise control. 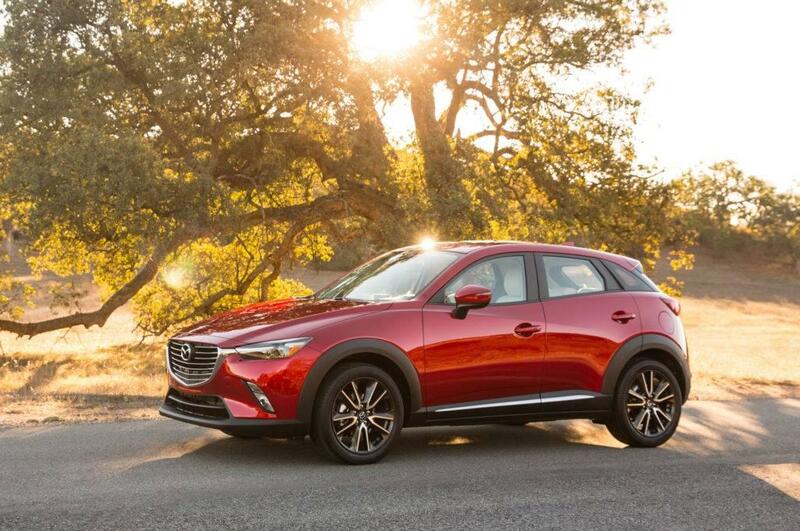 The Mazda CX-3 is a serious contender among subcompact crossover SUVs, a hot category. Sporty, attractive, and practical, the 2017 CX-3 is available at attractive prices and gets great gas mileage. Introduced for 2016, the CX-3 hasn’t changed, apart from placing larger (18-inch) wheels on midrange 2017 Mazda CX-3 Touring models. Its platform stems from the Mazda 2, a subcompact car like the Scion iA no longer sold in the U.S.
All Mazda CX-3 models come with the same powertrain: a 2.0-liter four-cylinder engine driving a 6-speed automatic transmission. Developing a modest 146 horsepower and 146 pound-feet of torque, the engine doesn’t sound like a powerhouse, yet it manages to deliver a level of enthusiastic energy and driving fun that’s not often found in the crossover SUV world. The CX-3 is a fun vehicle to drive for anyone! At the same time, the CX-3 achieves frugal gas-mileage estimates from the Environmental Protection Agency: 29/34 mpg City/Highway, or 31 mpg Combined. Mazda’s subcompact ranks among the best in its vehicle class. The Honda HR-V, a recent entrant and strong competitor against Mazda, is rated 28/35 mpg City/Highway, 31 mpg Combined. Stop by Island Mazda near Union, New Jersey today to test drive the all new 2017 Mazda CX-3!